It is too soon to replace my twice-yearly laptop buyer’s guides with tablet buyer’s guides, but some days it feels like I should. Much of the energy that companies once poured into laptop designs and advances seems to have been drained off into a massive race to create tablet computers. Still, while tablets are important, they don’t fully replace laptops, at least not yet. There remains huge value in the portable, clamshell-shaped computer with a physical keyboard, lots of ports, plenty of storage and more horsepower than tablets offer. So, here is my annual spring laptop buyers’ guide, a basic cheat sheet to the most important factors in the shopping process. While I’ve focused on laptops, much of this advice also applies to desktop computers, a fading species. As always, these tips are for average consumers doing the most common tasks. This advice doesn’t apply to businesses or to hard-core gamers or serious media producers. The first thing to consider is that you may want to wait to replace your laptop. Apple’s iPad, and the tablets coming in its wake, have put the computer industry in reset mode. If you own a tablet, you are likely to rely on your laptop less often, extending its useful life. And if you don’t, you’ll probably find over the next year or two that more interesting choices will appear as companies try to bring tablet qualities to laptops and laptop features to tablets. Some early inklings: Apple’s MacBook Air and the Windows-based Samsung Series 9 start almost instantly, like tablets, and use chips for file storage, like tablets do, instead of hard disks. Also, Apple will soon roll out a new Macintosh operating system, called Lion, that displays programs as if they were tablet apps, and it already has an iPad-like app store for the Mac. Microsoft is working on a version of Windows, likely to appear next year, that fuses tablet and PC concepts. This software will run on some current computers, but new hardware, more tailored to these systems, will be coming. As for tablets, some companies are working on designs that go beyond the iPad template to somehow integrate physical keyboards and traditional ports. This would certainly blur the lines and make for new, intriguing choices if you wait. Laptop shoppers now need to consider if a tablet will suffice—especially if they are looking for a highly portable, secondary machine, as I noted in my last guide. The new iPad 2, which still starts at $499, has at least twice the horsepower of the original model, and now boasts 65,000 tablet-optimized apps. It is gradually morphing into a productivity platform—able, for instance, to edit videos. And it has now been joined by similarly powerful competitors running a new tablet version of Google’s Android operating system and by the $499 PlayBook, the first tablet from Research in Motion, which boasts speedy hardware and a new operating system. Hewlett-Packard’s new tablet, based on Palm technology, is coming soon. Tablets tend to beat small, low-cost laptops in weight, start-up speed and battery life. And they are competitive for lots of common tasks, such as Web browsing, email, social networking, and viewing or playing documents, photos, videos and music. But laptops still win for intensive work like creating long documents, or doing anything that requires precision and benefits from a physical keyboard. They also are more compatible with printers and external disks. If you can’t wait, or don’t want a tablet, you’ll find relatively little has changed in laptop-land in the past six months or so. Here’s a rundown of what you should look for in a laptop. As always, capable Windows 7 laptops cost less and offer much more variety than Mac laptops. The latter start at $999, while a few basic, full-size Windows machines can be had for $300 and the decently equipped Windows models are in the $500-to-$800 range. And Apple refuses to make tiny netbooks, leaving that dwindling category to the Windows guys. But Apple laptops combine sleekness, durability and strong battery life with well-regarded customer service. Macs can run Windows, at extra cost, if you need to use a program that is Windows-only, and they come with better built-in software. Finally, Mac users generally needn’t worry about malicious software, since it’s nearly all designed to run on Windows. I recommend 4 gigabytes of memory, or RAM, on a new Windows computer, though a Mac will perform well on 2 gigabytes, unless you’re designing complex graphics. A new Windows machine should be labeled “64-bit” for best performance. The newest, and most advertised, chips in consumer laptops are Intel’s i3, i5, and i7 Core models. But a PC with chips from rival AMD, which usually cost less, or older Intel dual-core chips, will do fine for most users. Pay attention to this, even if you aren’t big into video or games. Many computers offload nongraphics tasks to potent graphics chips for speedier operation. In general, less-expensive machines have wimpier graphics hardware, and costlier ones have more-powerful graphics. Some have both and can switch between the two as needed. A 320 gigabyte hard disk should be the minimum on most PCs, though 250 gigabytes are fine for many average users. Solid-state disks, which lack moving parts and use flash memory, are costlier but faster and use less power. However, they usually have less capacity. As more data are stored online, huge amounts of local storage will be less crucial. Many PCs now come with a port called HDMI, which makes linking to a high-definition TV easy. There is a new, much faster USB port, called USB 3.0, but so far, few peripheral devices can use it. And Apple has introduced yet another high-speed connector that has little practical use so far, called Thunderbolt. Again, with the industry in flux and tablets on the rise, if you can wait to buy a laptop, do so. But if you must take the plunge, don’t buy more laptop than you need. 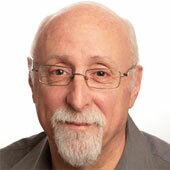 Find Walt Mossberg’s columns and videos at the All Things Digital website, walt.allthingsd.com. Email him at mossberg@wsj.com.